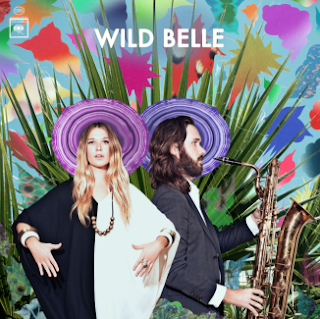 You might have heard bit about Chicago-based brother-sister duo Wild Belle over the past year. You'll probably be hearing a lot more about them in the coming months. Natalie and Elliot Bergman--who together create a breezy sound described as having a "retro, psychedelic-pop feel with hints of jazz, reggae, and R&B"--have signed to Columbia Records, which will release their debut album Isles in early 2013. According to a recent article by Greg Kot of the Chicago Tribune, the duo, who grew up in Barrington, have been working together musically since Natalie was in her teens (she's 23 now; Elliot is 31), but have been focusing on writing and performing as Wild Belle only since last year. Previously, Elliot had toured with Afrojazz band NOMO. Wild Belle attracted significant interest after releasing the reggae-infused track "Keep You" early in the year, and are now offering another taste of what's the come on the album with a video for a new track called "It's Too Late," which you can check out below. In addition for preparing the album's release, the two are about to go on a tour which includes some dates with Tennis. Check out their site for details, and look for more information on the release of their debut soon. Metro announced Wild Belle will be back in Chi-Town along with Of Montreal and Foxygen on Dec 9. Should be a blow out show. So in love with Wild Belle. Their music is right up my alley with it's reggae beat, 60's vibe, and sultry vocals. Can’t wait to see them live!